Emerging trends, such as driverless cars, P2P insurance and electronic signatures, have disrupted the usually steady world of insurance. But how exactly have these emerging insurance trends affected and changed the industry? 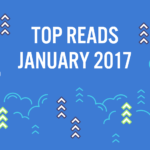 Let’s take a look at some of the emerging insurance trends! Since the emergence of Tesla’s electric cars and the way they took the automotive market by storm, competitors and disruptors, and Tesla themselves, are looking into introducing fully autonomous cars as soon as two years time. Naturally, this changes things significantly for the insurance world. As this market continues to develop, insurers will need to consider potential risks to drivers, passengers and cars, as well as who (or what) is ultimately held responsible. Personal Insurance – Since the drivers essentially become passengers, who will be held accountable in case of an accident? The driver, car manufacturer, or both? Commercial Insurance – With companies such as Uber or Lyft using driverless cars to take their passengers’ places, how will these vehicles be insured if an accident occurs while on duty? Driverless cars transitioned quickly from a radical idea to a very real product, with a very fast adoption rate. The insurance industry needs to adapt to these new changes just as quickly. When Lemonade entered the insurance market this past fall, everyone with at least minimal knowledge in insurance knew things were about to change. The implications for the insurance industry were very deep, even though they only operated in New York. Unsurprisingly, requests for expansion into other states were made as soon as it launched. What will this mean for the insurance industry long-term? Peer-to-peer insurance is simpler than it sounds. It’s when a group of people with a mutual cause gather their money in one place, which is then used to pay the claims of any of the members in case of an accident. Usually, companies offering this type of insurance have a backup top-insurer supporting them in case the sum is too big for them to cover. 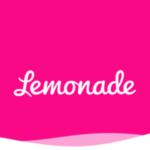 Lemonade uses unpaid claims to support causes close to the heart of the insured. As such, customer trust in their company is bigger, and the tendency to find ways to circumvent the system is considerably lower. Since the company’s profits do not depend on what claims they can and can’t deny you. Even though the insurance industry has started to shift, P2P companies have not yet completely and irrevocably disrupted the market. P2P insurance exploits one of the biggest flaws of traditional insurance companies, by inspiring trust and a sense of community with their customers. However, when P2P companies go to traditional insurance companies for help in controversial cases, this newly placed trust in P2P companies will wear off. With that being said, the fact that this new model emerged at all, and has the success it has had so far, existing companies will rethink their stance on insurance going forward. As the number of private drone enthusiasts increases and a growing number of commercial drones take flight, so do the risks associated with them. Aside from providing insurance to drones or unmanned vehicles, they hold large potential for changing the insurance game, from fighting fraud to increasing accuracy in risk-management and tailored pricing. Drone insurance acts like any other insurance policy. If a drone is damaged in an accident or lost, the loss is covered to an extent by the insurance company. There are primarily two types of insurance coverages, UAV (Unmanned Aerial Vehicle) UAS (Unmanned Aircraft Systems) insurance provided to the all: Manufacturer, Owner and Operator Coverage. And non-owned UAV / UAS Liability Coverage: coverage to companies or individuals that use or hire UAVs that they do not own and that are operated by third parties. During catastrophes, drones can play a critical role in surveying the damage of the insured property. The flexibility of drones allows for immediate surveying and reporting, allowing for a speedy insurance process. According to PWC’s recent report “Clarity from Above”, drones could be used for instantaneous data collection and risk monitoring. With immediate access and improved quality of data. Insurance companies could easily assess high-risk areas and notify customers of those high-risk areas, ultimately helping them avoid those risks. By often performing hazardous work, drones access and collect critical data sets that effectively allow for insurance companies to provide their customers custom pricing. Initially frowned upon by lawmakers for its perceived poor cyber security and the consequences of having important legal information stolen, eSignatures are the new norm. The advancement of technology pushed insurers and the laws governing insurance companies to catch up with the times and start using eSignatures as part of their daily work. Like we mentioned in our previous post “Quick Reference Guide: Electronic Signatures & the ESIGN Act“. According to the eSign Act, an eSignature is “any sound, symbol, or process, attached to or logically associated with a contract or other record and executed or adopted by a person with the intent to sign the record.” If that definition sounds vague or unclear, don’t worry. That’s sort of the idea; it is, after all, “legal-ese”. In plain English, however, the above definition simply “states” an eSignature as a legal concept. That is, its legal definition simply means that it is possible for an electronic signature to carry the same sort of legal “weight” as its pen-and-paper equivalent. Basically, any individual who signs an electronic document must explicitly consent to do so in the first place. Should an individual choose not to consent to an electronically signed agreement, a non-electronic option must be made available. In the simplest terms, this means that the signer clearly understands his or her intent to sign the document, and the process by which the individual signed the document was clear and understood from beginning to end. For an electronic document to be considered legally binding it must be signed by the same person whose signature appears on the dotted line. In turn, most electronic signature solutions have built-in verification methods. This is the electronic equivalent of a “paper trail,” (popularly know in the electronic signature industry as an ‘Audit Trail’) whereby each party involved in an electronic agreement (or a legal entity, for instance) can if necessary, easily access each step of the electronic signature process. You can read more about the anatomy and importance of an audit trail in our post titled “The Anatomy of an Audit Trail: Electronic Signature Simplified”. eSignatures makes life much easier for insurance brokers. eSignature companies like Signority revolutionize document signing and management by creating seamless digital transactions for your customers. Experts agree eSignatures close sales quicker, are more secure and traceable than paper and can be easily integrated into already existing business processes. You are able to securely maintain legal electronic copies of every document, keeping your documents safe from any harm. Communication is also simplified, so much so that it only takes a few minutes to set up, draft, sign and file any necessary documents… no more long days waiting for documents to arrive by mail! Everything is automated and digitalized and at your disposal. To learn more about the habits of highly effective insurance brokers, click here. While driverless cars and P2P insurance have both positive and negative effects on the insurance market, eSignatures and drones impact looks to be solely positive. We will see in later years how each one of these trends will change the way insurance works, but for now, we can safely say things are looking up! This post focuses on technology and its impact on the North American insurance sector, specifically. It’s important to point out that Signority is not an insurance company, nor are we the expert authority on the subject. However, we have referenced experts often in this post. It would be equally wise (and perhaps a bit obvious) to point out that the insurance industry is incredibly complex. Admittedly, this post is a brief, simplified look at a complex topic. Looking to take your business paperless? 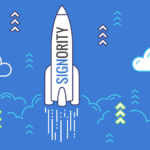 Sign-up now and get free access to Signority’s Business Plan for 14-days.